The City Council has approved a site in south Minneapolis for a temporary Navigation Center that will provide a safe and service-rich environment for people living at the Franklin/Hiawatha homeless encampment who face challenges connecting to traditional shelter housing. This has not been an easy process, and I do not expect it to get easier. We are leaning in to the challenge of serving a segment of our community that has been invisible and neglected for a long time, and that has complex, sometimes contradictory needs that often cannot be met by existing programs. The path we are choosing will take significant resources, compassion, and persistence in the face of frustrations and setbacks while we work to approach the people at the encampment with the empathy and dignity we all deserve. The Council voted to direct City staff to work with community and government partners to establish the center at 2109 Cedar Ave., a 1.25-acre site that includes parcels owned by the Red Lake Nation and the City. The goal is to open the Navigation Center by early December. Until the center opens, there are no plans to close the encampment. Ongoing outreach efforts at the encampment continue to focus on harm reduction strategies to improve health, hygiene and sanitation in addition to assessments to help people secure emergency shelter and supportive housing. The City is making a significant investment, along with the Red Lake Nation, to establish the temporary Navigation Center. We are hopeful that Hennepin County, nonprofit partners and community will take the lead on developing and implementing the services at the Navigation Center with support from the City. As a longer-term solution, the City and coalition partners have also recommended a new transitional housing program geared toward Native Americans experiencing chronic homelessness. An update to the Council on that recommendation is scheduled for October 24. It's worth noting that the homelessness visible at the encampment is not the full extent of the homelessness crisis our city faces, even if it is the most visible. While we work with partners and tribal leaders on this site, we also must work in parallel to add extremely low-barrier housing, supportive housing, and short-term emergency shelter throughout the region. The Mayor had the vision to reserve a significant affordable housing investment in the budget, and we need to have the courage to allocate it to the most urgent needs in a way that preserves as much as possible for long-term solutions to eliminate housing instability. I am very pleased to share that Emma Youngquist has joined my office as Policy Associate! Her first day was Friday, September 28. Emma will be the primary point of contact for my office all meeting requests and event invitations, constituent service requests when you have a problem to resolve, and general informational inquiries. Emma was most recently Director of Scheduling, Policy, and Special Projects for Erin Murphy's campaign for Governor, and prior to that worked for Senator Klobuchar in a variety of roles over two and a half years. I’m really excited about the skills and experience she brings to my office, and I look forward to introducing her to folks across the Ward soon! You can reach Emma at Emma.Youngquist@minneapolismn.gov or at my council office main line, 612-673-2203. Early voting has begun for the November 6 general election, and Minneapolis voters may cast their ballots at the Early Vote Center, 217 S. Third St., in downtown Minneapolis. Standard hours for the Early Vote Center are 8 a.m.-4:30 p.m. Monday-Friday. The center will also have Saturday and Sunday hours for the last two weekends before the election. It will close 5 p.m. Monday, Nov. 5. All early voting hours are posted on the Elections website at vote.minneapolismn.gov/events. Any voter can vote early with an absentee ballot; no reason is required. If you plan to vote absentee by mail, please allow enough time to complete the process, which can take longer than seven days. Absentee ballot applications are available at vote.minneapolismn.gov/voters/absentee and may be submitted anytime throughout the year. While people can register to vote at the polls, pre-registering makes voting on Election Day a faster process. You can check the status of your registration at vote.minneapolismn.gov/voters/register. Anyone who has moved to a new address or had a name change since last registering will need to re-register. Voters who haven’t voted in the past four years also must re-register to vote this November. You can pre-register online or fill out and mail in a registration application, which are available at government offices and the elections website. Pre-registration ends 21 days before the November 6 election, so applications need to be submitted by October 16. Voters can register at the polls and vote on Election Day if you miss the pre-registration deadline. In Minnesota, individuals may register at the polls on Election Day by providing one of the forms of identification required by Minnesota law. They will need to allow extra time at the polls to register. See the elections website for the list of identification required to register and vote on Election Day. State law allows voters to bring materials into the polls to help complete your ballot — and the sample ballot is the single, best tool available for this purpose. Your sample ballot is customized to your specific ward and precinct, and you can get yours at vote.minneapolismn.gov/voters/BALLOT. Election judges are needed for the general election on November 6 to serve voters in local polling places. Election judges are paid $15.75 per hour for their service, which includes training. Judges who are fluent in a second language – including Spanish, Somali, Hmong, Oromo, Lao, Vietnamese, Russian and American Sign Language – are especially needed to provide additional language support in the polling place. Selection and placement of judges is based on qualifications of applicants and political party balance within the precinct. Preference will be given to those willing to serve a full day in a precinct with a vacancy. The Minneapolis Elections & Voter Services Division is responsible for administering elections in the City of Minneapolis. For information about registering and voting in Minneapolis or to serve as an election judge, residents can visit vote.minneapolismn.gov or call 311 or 612-673-3000. In the Public Safety and Emergency Management Committee meeting on September 27, Minneapolis Fire Chief John Fruetel and Firefighters Local 82 President Mark Lakosky presented on a planned pilot program in collaboration with Hennepin County EMS for mobile integrated healthcare, which will run out of Fire Station 1 Downtown. This model has the potential to bridge a gap in local healthcare infrastructure needs and relieve pressure on firefighters. Mayor Frey included five additional positions for the Department in his proposed 2019 budget to help carry out the work of this pilot program. The Fire Department responds to over 30,000 EMS calls a year, and many of those don’t need a fire truck, so this is a smart way for the Fire Department to respond to calls with the right staff and the right vehicles to save fuel, reduce wear and tear on our fire trucks, and relieve excessive pressure on our firefighters. Adding these positions to the Fire Department through this pilot program will also provide new pathways into the firefighting profession for those who have historically faced barriers to employment, including women and people of color, who successfully complete the EMS Pathways Academy. I really want to commend Chief Fruetel for his leadership in bringing this idea to fruition in partnership with our firefighters and with Hennepin EMS. I am also working with Council Member Cunningham to author an amendment to the ordinance defining the Fire Department's powers and responsibilities - which has not been updated in a long time - to add their role in emergency medical response. This ordinance change will have a public hearing in the Public Safety and Emergency Management Committee before coming back before the full City Council. 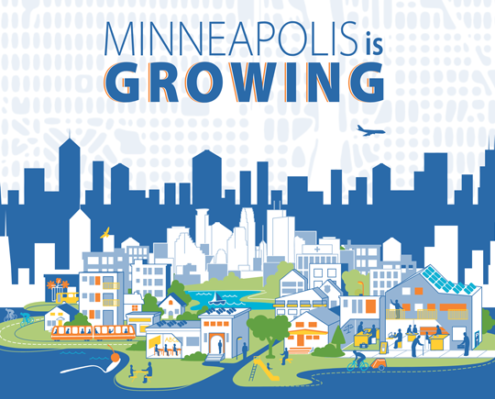 On Friday, September 28, the Community Planning and Economic Development (CPED) Department released their revised draft of the Minneapolis 2040 Comprehensive Plan at minneapolis2040.com based on over 10,000 comments received over three months between April and July. You can review a PDF version here. Goals and Topics of the Plan that have been revised are marked as such on the navigation pages, and those revisions are all clearly highlighted, as is all text that was struck-through. In general, the changes reflect a lot of the feedback we heard about the initial draft at Ward 3 listening sessions. In particular, we heard concerns that fourplexes would not fit on many lots without changing the mass of the building substantially, by getting rid of setbacks. Planners looked at what a fourplex would look like on a standard 40-foot lot, and agreed, so the new draft for standard Interior 1 lots allows for up to a triplex, rather than a fourplex, and it more clearly affirms standard setbacks. The new draft also reduces some proposed building heights for interior blocks stepping down from transit corridors. In Ward 3, that’s most impactful in Sheridan and Bottineau. This change reflects mixed feedback we received from residents. For people wanting to maximize housing along transit, this may feel like a small step backward. For people who worried that step up would feel extreme, this change should be comforting. This draft also goes into significantly more detail on our city’s commitment to increasing affordable housing – language that I joined many of you in insisting be included. While that section doesn’t represent the limits of our ambition for either the policies or investments needed to achieve our affordable housing goals, it is substantially expanded. It includes a longer narrative outlining the need for both additional housing supply and housing affordable at specific income levels, and additional action steps pertaining to affordable housing production and preservation, as well as ways for us to address homelessness. I have heard from many residents in Ward 3, particularly in Bottineau and Sheridan, about pollution and odor coming from GAF (a roofing shingle company in North Minneapolis) as a major problem that needs to be addressed. Residents in North Minneapolis, together with Northeast, have been organizing on this for a long time. I know many people would prefer to see GAF leave the City altogether, and based on that feedback we declined to renew a lease for the city-owned piece of land next to GAF, which they had previously been using for storage. Some hoped that would prompt them to relocate, but they have not. However, GAF recently announced plans to install a Regenerative Thermal Oxidizer (RTO) at their facility along the Mississippi River. This investment of roughly $4 million is not required by any laws. The City of Minneapolis Health Department and Minnesota Pollution Control Agency staff are very supportive of it from the perspective of public health. RTO technology eliminates between 95% and 99% of volatile organic compound pollution and will reasonably be assumed to eliminate the chemicals causing odor concerns in this area. City staff have met with GAF to go over the details of their planned investment and installation. This is the latest in a long line of conversations that staff have had with the company, neighborhood groups, and the Minnesota Pollution Control Agency (MPCA) over many years towards progressive enforcement and attempts at solutions. The RTO has not yet been installed, and the City will continue to enforce based on whether or not the issue has been resolved. While staff are very optimistic that this RTO is a viable solution to pollution and odor issues that have long been a challenge in North and Northeast Minneapolis, until the RTO is installed in 2020, the City will continue to respond to issues at the site and enforce our regulatory standards. Two of the major bridges across the Mississippi River in the Central Riverfront are in need repairs and will be closing to receive those repairs in the next two years. The 10th Avenue Bridge, which is owned by the City of Minneapolis, has been in critical need of rehabilitation to maintain its long-term safety for several years. This project is scheduled to start in the Spring of 2019, with completion slated for Fall of 2020. At this time, Public Works plans for it to be open to traffic during the 2019-2020 winter. The 3rd Avenue Bridge, which is owned by the Minnesota Department of Transportation, also needs major rehabilitation. MnDOT has said that this project is tentatively scheduled to begin in late 2019 or early 2020. The current anticipated closure length is about 20 months, with a total project duration of about 30 months. Both of these project timelines are tentative and fluid. City Public Works staff are working in close coordination with MnDOT staff to sequence these projects in order to minimize the impact of necessary closures, and at this time no firm construction dates have been set. The Stone Arch Bridge, which is also owned by MnDOT, is also in need of significant repairs, and those needs are being assessed this month. MnDOT received $1 million in state bonding funds this year to pay for this assessment. I'm working closely with City Public Works staff and with State Senator Kari Dziedzic to make sure that everyone who will be impacted by these projects can stay informed. We are planning a community meeting to discuss all three of these projects and will share details on that as soon as they are set. 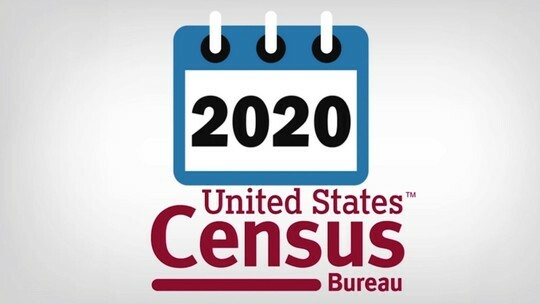 The U.S. Census Bureau is currently hiring throughout Hennepin County to support the 2020 census. The U.S. census creates hundreds of jobs every 10 years in Minnesota. If you or someone you know is looking for a job and wants to make a positive impact on Minneapolis, please encourage them to apply at the Census Bureau's online job portal: https://2020census.gov/jobs. An accurate count of the state's population is crucial for all of us in Minneapolis. U.S. census information determines the political and financial resources available to our communities. U.S. census data determines how many residents live in Minneapolis, which in turn determines funding for public programs such as public schools, health care, and transportation. 2020 census data will also determine how many people will represent you in Washington, D.C., the state capitol and in Minneapolis City Hall. Government, nonprofits and businesses also use U.S. census data to make good public policy decisions. 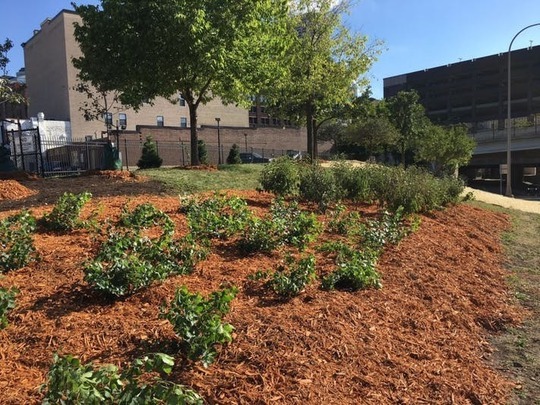 The North Loop Neighborhood Association recently worked with MnDOT to landscape a piece of land along I-394 where it meets North Washington Avenue at one of the gateways to the neighborhood, transforming a plot that was previously overlooked and in need of some love into a Welcome Park for the neighborhood. Check out the Star Tribune's coverage here! Recent work on the Boom Island-Nicollet Island Bridge rehabilitation project includes sandblasting and repainting of the bridge substructure, with deck installation scheduled to begin next week. Unfortunately, significant material delivery delays and construction staging challenges have pushed back expected project completion to early November. All efforts are being made to reopen the bridge as soon as possible. Please continue to follow the posted pedestrian and bike detours and stay out of the construction area. The Mississippi River East Channel below the bridge is closed to all boat traffic until the bridge reopens, so the Paddle Share kayak return station has been relocated to the Boom Island Boat Launch. With fall’s arrival, crews are preparing to sweep streets across Minneapolis to completely clean the streets before winter, and keep leaves and debris out of the storm drains and ending up in our lakes and rivers as much as possible. On Tuesday, October 23, Minneapolis Public Works will begin the big task of curb-to-curb sweeping and leaf collection on 1,000 miles of streets throughout the city. Temporary “No Parking” signs will be posted at least 24 hours in advance so streets will be clear of cars when they’re swept. The first signs will be posted Monday, October 22, and sweeping will begin the next day. Anyone who parks on the street will need to follow posted parking rules or their cars may be ticketed and towed. Social media – The City will use Facebook and Twitter to post periodic street sweeping updates and information. Facebook: To “like” the City of Minneapolis Facebook page, go to www.facebook.com/cityofminneapolis. Twitter: To follow the City’s Twitter account, go to www.twitter.com/CityMinneapolis. Interactive web feature – Folks can use a feature on the City’s website to find out when the sweepers are coming through their neighborhoods. The tool will be available at www.minneapolismn.gov/streetsweeping once we get closer to the start date. The fall street sweep takes four weeks, and visitors to the website will be able to find out which week their street is scheduled to be swept. Then, on the weekend before each of the four weeks, the schedule for the upcoming week will be broken down to show which day of the week streets are scheduled to be swept. Videos – Street sweeping is explained in English, Hmong, Somali and Spanish as part of the City’s “Did you know...” series of short videos that can be viewed at www.YouTube.com/cityofminneapolis and on Minneapolis City TV. Residents who have friends or neighbors who speak these languages are encouraged to share links to the videos. Join me for my next Good Morning Ward 3 on Wednesday, October 17! Our guest speaker will be Linda Roberts, Business Licensing Manager in the Department of Community Planning and Economic Development. She will discuss how the City of Minneapolis approaches business licensing, upcoming changes to liquor and entertainment license classes, and this summer's late night food truck pilot downtown! Wednesday, October 17 from 7:30 - 9:00 a.m.
Council Member Fletcher holds regular open community office hours at 5:00 p.m. on Wednesdays at a rotating neighborhood coffee shop in Ward 3 for constituents to drop by, ask questions, and raise any issues you see in the community.